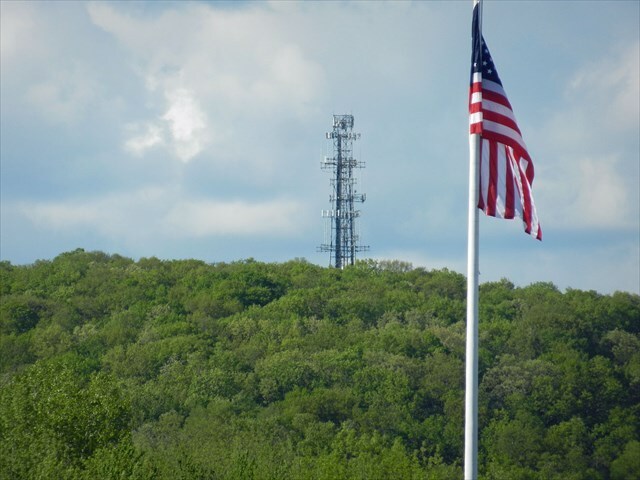 The radio tower atop Senior Mountain* in Mahopac is easy to spot from Route 6. But getting there can be quite terrifying, requiring navigation through a twisting nest of steep local streets where a wrong turn can easily take you back where you came from instead of where you are going. Not to mention the need for good brakes. Really, really good brakes. There was no incentive to make this hide snow friendly, because no way would anyone encourage trying this one in winter conditions. Hard to believe these are residential streets, which the local denizens drive, up, down and all around, every day. And they face the terror without the added incentive of hunting a cache. Be aware there were signs of past human habitation in some sections of the park. Don't know if some unfortunate souls took up residence there, or if the local scouts were practicing outdoor living. But I saw nobody on two recent visits, and no evidence of recent activity. Please rehide the cache at least as securely as you found it. *Most maps show this as Senior "Hill." "Mountain" is more terrifying. So I made a mountain out of a Mahopac hill. Ybg bs cbgragvny uvqvat cynprf ng Tebhaq Mreb, naq ab jnl gb gryy lbh jurer gb ybbx. Whfg xabj vg vf uvqqra va n engure glcvpny snfuvba va n engure boivbhf cynpr. Ab gevpxrel urer. Ubarfg. The Tower of TerrorThe tower, looking northeast from Route 6 at Union Valley Road.